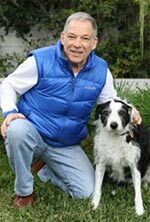 California dog bite expert witness Richard Polsky, Ph.D. provides insights and commentary on dog bite news from an animal behavior perspective. Can a Pomeranian inflict a fatal dog bite? Hard to believe incident but a Pomeranian hopped into the bassinet of the newborn and inflicted a fatal dog bite wound. Another fatal dog attack in which the caretaker momentarily left the infant alone. Children waiting for the school bus were attacked by a pair of Siberian Huskies which escaped from a nearby property. This was a dog bite incident in the Bay Area where the FedEx delivery person was attacked by the resident German Shepherd. Reconstruction of the incident through doubt on the version given by the defendant. Provocation by an intoxicated lady in a dog bite lawsuit in San Diego? Arguing that the plaintiff provoked the dog to bite because of the plaintiff’s intoxicated state can be used to support the argument of comparative fault in strict liability states like California. This is an example of a lawsuit in which a police canine was not controlled by his handler thereby resulting in a claim of excessive force. A lawsuit brought against Cesar Milan due to the way he handled a dog brought into his facility in Los Angeles for training. With the exception of Texas, more dog bite fatalities happened in California than in any other state in the USA. Read about several fatal dog bites that it happened in California in 2015. Lake County California is a rural and economically depressed county in California and home to marijuana growers who may use dogs to protect their crops. How does animal behavior expert opinion apply to dog bite law in California & Arizona? 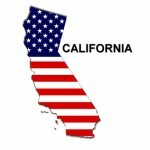 California dog bite expert, Richard Polsky, PhD welcomes inquiries from California attorneys involved in dog bite litigation. Dr. Polsky provides expert witness services nationwide.